This topic contains 21 replies, has 7 voices, and was last updated by DC Tri Club President 5 days, 8 hours ago. Hey I’m 58 years and joined 3-4 years ago to HANG WITH THE MILLENNIALS. If I a wanted to be with old folks I would have joined DC Shuffle Board or a bowling league. BTW I love blowing past 20 somethings in a race or watching them drop me on River Road and rationalize that I’m old they’re not. Either way my ego wins! Survey response about value of membership: It’s a small upfront fee but the discounts make up for it. DC tri is like a large public university. It’s easy to feel lost at first but once you find your subgroup, you’re good. I have never heard the Club referred to as a large public university! haha That’s pretty good! It is very easy to feel lost or intimidated in the Club because it is so large and because we have so many moving pieces. We try to make the Club welcoming and friendly but doing that on a large scale is kind of tough especially in very densely populated city with horrible urban planning for road systems. That’s why we have encouraged the formation of subgroups within the Club. Whether they are just informal circles of friends, official community groups, or program participants, we want to make sure everyone feels welcome and that sense of feeling lost or intimidated passes quickly! 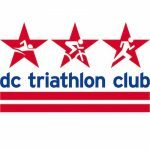 We also have applications open for new DCTriClub ambassadors. These will be guinea pig crew of club members whose aim is to bring a welcoming and un-intimidating atmosphere to group training and group socials. They will be posting workouts that are open for anyone to join! These will not be Elite Team folks so you don’t have to be intimidated by speed! If anyone is interested in applying, please go to the Training Ambassador page! In summary, I am happy that you have found a place in the club and that you no longer feel lost! I hope others can follow in your footsteps and find their place! Thank you for making this comment! Survey response about value of membership: The club seems fragmented compared to a few years ago. The select favorites get all the benefits why others do not. For example the prizes for last year’s USAT NCC were never given out. I am guessing someone kept the prize for themself. The club is a bit more fragmented than it has been in previous years, but we have also grown in size and our membership has spread out across the region. Sadly the fragmentation is somewhat of the answer to still getting groups of club members together on a more regular basis. We are trying to do more things to bring club members together (training events, training races, happy hours & meetings), but the extent that we can bring together only goes so far as people willing to come together! We can host a club happy hour but that only works if members from MoCo or NoVA or PG County are willing to come into the city for that event! The benefits of the club are available to all: racing discounts, product discounts, happy hours, member meetings, etc. Raffle prizes at events and happy hours and meetings are available to all. Regarding any awards for USAT’s NCC, as far as we know there were no awards given out by USAT last year. While years ago, the NCC competition had some great prizes (CompuTrainers, Garmins, and the like), the competition has become more of a just for “fun” thing to keep the clubs involved with USAT over the winter months and their only involvement is putting the website together so that participants can track their mileage. If I remember correctly two or three years ago, they gave us a bunch of massive Gatorade bottles (like twice the size of bike bottles) as prizes that we couldn’t even give away and those were the last time we got anything from USAT for participating in the NCC. I’m pretty sure last year we got zilch from USAT and as far as we know there are no prizes for this year either. Having said that though, we are looking at the club itself contributing toward some prizes for our active club members who are participating in the NCC! So stay tuned for that as we figure it out! And we are back! My apologies for nearly a month in gap in responding! I was down with the flu for about 2 weeks (yes, I’m human; and sadly I’m still suffering some of the effects from the flu) and then broke pattern with my message about appropriate interaction between members of the club, but now I am back to responding! Survey response about value of membership: Membership cost was raised a few years ago however it was never clearly explained the expenditures for the increase. It seems the increase was needed to fund a training camp for the elite team. I suppose I am the best person to answer this since I was Treasurer of the Club at the time the decision was made. I gave a semi-long explanation of the reasons membership costs were raised a few years ago at the 2016 Annual Meeting & Kona Viewing Party, but I know that when I get up to talk in front of the group about finances and numbers, people tune me out. Finances are boring while drinks and raffles are more exciting. I would tune me out too if I wasn’t the one giving the presentation! First off, we looked at the cost of a single membership. Every member of the club brings about a variable cost that the Club has to pay: the membership kit (shirt, water bottle, etc), the shipping & handling charges to send that kit, the insurance that the club carries on the members, PayPal fees on membership registrations, etc. In addition, the club has a number of organizational fixed costs that we have to pay: annual tax filings, subscription services (PayPal, Google, MailChimp, and others), USAT memberships, Board of Director insurance, storage fees, and others. When we looked at these fixed and variable costs that the Club faced, we saw that the Club was actually losing money on a member. It cost us more per member than the price of the membership. Now this is not necessarily a bad thing! That’s why we looked at a second key area. Secondly, we looked at the revenue generated from the Club’s Programs. These programs, in the past, were major generators of revenue every year. They were volunteer run where people donated their time to make each of these programs resounding successes. A lot of the venues used were either free or super cheap (the space we had at Fresh Bikes for Off-Season Spin was free). So a lot of the revenue generated by these programs supplemented the variable and fixed costs for the club and thus offset the loss we had from the cost of a member. Putting these together, we applied this analysis to the trends we were seeing in triathlon and in the cost of putting on programs. Triathlon trends showed a slowing (fewer people entering the sport of triathlon, fewer people were racing triathlon, and as such we were seeing fewer participants in our programs, etc. ); however, program costs were rising (we no longer had as many people volunteering their time and venues were starting to charge for use of their space [we now have to pay for all the locations of Off-Season Spin] ). So we decided we couldn’t rely on the revenue from these programs to supplement the operational costs of the club. We took a look at the operational costs and cut back when and where we could and then started running the numbers to find the sweet spot where the cost of a membership covered the fixed and variable costs described above based on changing number of club members. Then we made sure that all programs were designed to at least break even and cover their costs, while any extra revenue from the programs (over the costs of coaches and venues) could be invested back into the Club to put on bigger and better events, invest in the website, give out more raffle prizes at events, etc. This sweet spot, back in 2016, happened to be a $10 increase in the 1 year membership with kit, a $5 increase in the 2 year membership, a $0 increase in the 3 year membership, and the addition of a No-Kit option for those people who have enough DCTriClub t-shirts and water bottles and hats. I imagine with the rising cost of coaches and venues and items that go into membership kits, etc., that the Club will have to raise dues again at some point in the future. I don’t see it happening anytime soon, but it would be imprudent of me to say it will never happen. The Club has to adapt over time with the changing landscape of triathlon. While we are a non-for-profit club, we are also a not-for-loss club! We cannot responsibly run a club that loses money because we fear the lash-back from increased membership dues. But having said all this, even with the increased cost of membership back in 2016, I still feel that the value of membership in DC Triathlon Club is way more than the actual cost of membership. The race discounts, the gear discounts, the service discounts, and all other member benefits add up to way more than cost of a 1 year membership in the DCTriClub! As our Director of Partnerships has said: we are #theclubthatpaysyouback ! Survey response about value of membership: I did not find any value in my membership. The website advertised a discount for a race I was participating in but after I became a member there was not an up to date discount code to use so I was unable to take advantage of one of the major reasons I decided to join. None of the events were at times or locations that I could participate in and most other events cost additional money. The shirt I was sent as part of my membership did not fit properly. I am very disappointed in my overall experience. President’s reply: I am not going to just pick and choose responses to suggest that everyone has a great time here at the DC Triathlon Club, not every one does. So I will address the unhappy responses along with the good. To this responder, I’m sorry that you are disappointed with your experience in the club. Let me take a few moments to specifically discuss each comment made above. Discount codes: We apologize that you did not find an up-to-date discount code for a race. Depending on when you tried to sign up for your race, we might not have had an up-to-date discount code from the race organizer yet and that is why it wasn’t posted. If you tried to register for your race before the end of 2018, then we did not have discount codes for any 2019 races yet. And even if we did have it already, it would not have been active. Let me take Kinetic Multisports races as an example. They typically open registration for their races in November for the following year (so November 2018 for all 2019 races). Whenever we get a discount code from a race organizer, it typically becomes active on January 1. So even if we had the code in November, it would not have worked. And you will notice that their tiered pricing structure jumps to the second tier starting January 1! This is no coincidence! Race organizers have a minimum price per participant that they can charge without losing money to put on the race. The earliest tier 1 pricing that they offer is typically around this level. They can then offer clubs a discount code that takes effect when the price jumps up that brings the cost back down to around this minimum price point. This is how all race organizers work their discount codes: the code is designed to bring the price back down around that earliest early-bird pricing, but you will NEVER find a discount code that gets you a discount off that earliest early-bird price point. The benefit of being a member of this club is that you don’t have to decide so early on what race you want to do. You can decide later or even last minute and the discount code will bring the price of that race back down to around the early-bird pricing. But if you know what races you want to do, then sign up right when they open for registration! That is the lowest price you will ever get and no club will ever get a discount code that gets you below the earliest early-bird price. Event times and locations: In a club of roughly 1000 members, it is very tough to find times and locations to host events that accommodate everyone’s schedules. We try to vary weekend events and host some on Saturdays and some on Sundays because we know a lot of people in the area work one of those days. Some work both of those days and cannot attend any weekend events. We also realize that traffic in DC during the week is horrible (and only going to get worse), so we try vary the locations of weeknight events (like happy hours) so that there is at least something in your area once a month (please check the regional community groups for their happy hours, rides, and runs and see if happenings are occurring in your area). We also realize that a lot of people in DC are going car-less and so it might be difficult to get to an event that is not in DC proper or Metro accessible. While happy hours are easy to arrange because that’s just sitting in a bar or restaurant, trying to host triathlon-related events in DC on a weeknight is virtually impossible. 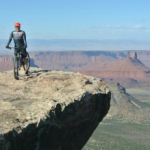 There are very very few places to ride and run in large groups that would not cause major safety concerns. So we tend to go outside of DC where the traffic is considerably less, the number of potholes is hopefully less, and number of traffic lights and street crossings is reduced. Unfortunately, a lot of the time that entails driving somewhere or getting a ride with someone. Therefore, the best we can hope to do is give people enough advanced notice of events so that they can hopefully free up some time on their schedule, and if they are car-less then hopefully find a club member to ride with to the event. One thing we are going to try being better about this year is posting ride-sharing threads so that people can offer up rides or request rides to specific events. Hopefully that will get more people to join up with us and help everyone meet people in the club outside their small circle of friends! Most other events cost money: The club puts on a variety of events and programs and races, and yes: some of them cost money while a lot of them are free. Training wise: we have group rides and runs that are free. We have brick-nics where all we ask is participants bring an item for potluck sharing while the club buys the main courses for everyone. Event wise: the member meetings, annual meeting, and happy hours are all free. We have some tail-gate nights at local sports venues that do cost money, but the aim here is to get DCTri people sitting together at the event so we arrange the block of tickets and have people buy them from us. Program wise: yes, all programs cost extra money. With venue costs, coach fees, TrainingPeaks fees, it would be impossible to provide free programs to club members from just the membership fee of $50-60 per year. If we went with the model of TeamZ where they charge $150 per month, then yes we could definitely offer up programs and coaches as a general perk of membership, but are opting not to charge everyone that price and make it much cheaper membership and then only charge those interested in a program the additional amount. Club racing wise: yes, these low-key club member races do cost extra money. The fee for these goes toward venue costs, post-race snacks, timing costs, etc. So in summary, yes, there are some things that cost money, but there is a lot that you can do in the club for free and the free events definitely happen way more often than anything that costs extra. Improperly fitting shirt: Last year, we did have a run of badly sized shirts. This was on the manufacturer’s end in that they had mislabeled the sizes on the women’s shirts. The manufacturer sent these mislabeled shirts to our printing/distributing company who did not think they would need to double check the sizes, and so a bunch of VERY wrongly sized shirts were given out. I believe the women’s small was barely big enough to put on a chihuahua! We contacted our distributor who called the manufacturer and we got a new set of properly sized shirts. I believe we had some opportunities to trade out the shirts last year but I don’t recall offhand when or where they were. We have properly sized shirts now and if the person who made this comment would like a new shirt, please contact gear@dctriclub.org and we will get you one that actually fits! We are sorry that this happened, but we definitely want to make amends for this screwup. Again, I’m sorry that you are disappointed with your experience in the club so far. I hope we can turn that around and help you have a wonderful experience in 2019 with the DC Triathlon Club! Taking a little deviation from the value of membership response and looking at some of the other short answer responses, in particular this one about the DC Triathlon Club’s Elite Team. While I am in a position to answer the question about Club dues because I served as Treasurer for 4 years, I am also in a position to answer questions about the Elite Team because I am the Team Captain! Yes, I wear many hats in the Club. Regarding the name of the Team and the use of the word “Elite,” the use of the term is really more for outward promotion than something intended for internal usage. I wish there was a better word to get the idea across, but the term is essentially an “industry standard,” for lack of better phrasing. In a lot of short course triathlons (Nation’s Triathlon was a great example; Luray Triathlon too), there is a division of participants called the “Open Elite.” These are the fastest of the amateur triathletes and they are required to have completed an Olympic distance triathlon under a set time (2:10 for a male; 2:30 for a female). In the application process for the Team, we evaluate short course specializing applicants by looking at their results to see if they qualify to race in this division, if they so choose. So when potential applicants inquire about the Team and what it takes to be on it, my primary response is that we are an “amateur elite team” and that I expect anyone who is on the Team to be qualified to race in the Open Elite division of a triathlon if there is one. Long course specialists are evaluated differently because there is no “Open Elite” wave at these distances. When I talk to sponsors and partners and describe us an an “amateur elite team,” they know exactly what I’m talking about and they know exactly at what level the team members are racing at and where they can be expected to place in the overall category. This is not something that is unique to the DC Triathlon Club. There are other teams out there calling themselves “Elite Teams”. For some examples, a quick search would reveal the Sheehy Lexus of Annapolis Elite Racing Team, Team FeXY Elite Squad, the QT2 Age Group Elite Team, Wattie Ink. Elite Team, the Tom Stronghope Elite Triathlon Team, and the PFC Elite Team, to name a few. Now that is the outward facing aspect of the Team. There is an internal facing component of that as well and that is how the Club members interact with the Team. For that, I make concerted efforts to refer to them just as “the Team”. Wearing so many hats with DCTri, I have to distinguish between “the Club” and “the Team” when talking about or referring to the various aspects of the entity that is the DC Triathlon Club, but I also want to make sure that they are not perceived as elitist, because as you say: they are “incredibly nice.” When I took over as Team Captain back in 2017, I made a concerted effort to get the Team way more involved with the Club’s members and activities. I felt that aspect had fallen by the wayside under the Snapple oversight and I think we are still suffering that lingering reputation of a separate and aloof group which had developed back then. So the use of “Elite” is not meant to sound snobby or to make them unapproachable. I repeatedly tell the Team members that they should be accessible to every single member of the Club, whether they be young or old, slow or fast, new or veteran, and I think they have done a great job over the last two years getting back into the mix of the Club and being approachable to every one. And we will continue to do so this year. The Team has been at the Splash & Dash, they were at Program Clinic Days, and we are working on a number of things for the rest of the year! If USAT-MidEast ever announces the regional club championships, the Team will be out in force helping the Club win like their 2000th (I literally have lost count…. 😛 ) Division I regional club championship! Hopefully that gives an explanation of why the term “Elite” is being used in reference to the Team. It’s not meant to be pretentious but is really meant to define a category of triathlete. Survey response about value of membership: DCTri’s membership is really accessible. I am sad to have moved away from such a strong community. I made friends in NTP in 2016 that I continued to train alongside in the HIP and OSP programs. I lived close to Wilson so the morning Master’s and weekly track practice were a regular part of my routine. As someone on a small income, I appreciated how accessible the club’s programs’s were in terms of cost and how other events (track & winter marathon training) were free. DCTri was a wonderful place to grow within, and I felt really supported. President’s reply: I want to say both “thank you” and “you’re welcome.” I am sorry that you moved away from the area. You are welcome back any time! I am so happy to hear that you had such a great experience during your stint in the Club while in the DC area. And I love hearing that you had such a great time in NTP and made such good friends that you continued on with them into other club programs! One of the key components of NTP is finding and developing that group of friends who are just discovering the triathlon sport and going on the crazy journey together. I met some my best friends through the Club and those friendships now extend beyond the realm of triathlon. So thank you for the positive feedback about all that we are doing and trying to do for our members. This response made my week. 228 queries in 2.427 seconds.